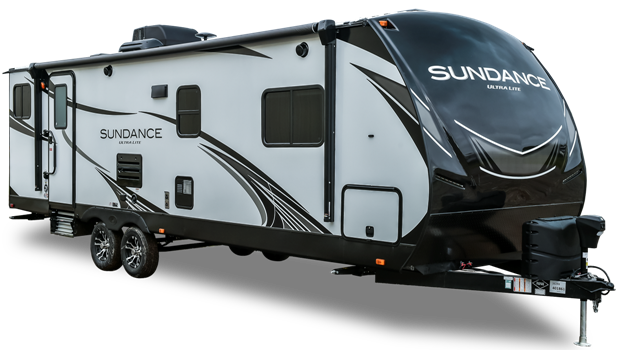 Whether you are looking for a 1/2 ton towable or are just tired of hauling around and maintaining a larger luxury unit, TT answers the call by providing you the luxury amenities of our top selling SUNDANCE TT in a smaller, lighter, easily manageable, laminated travel trailer. 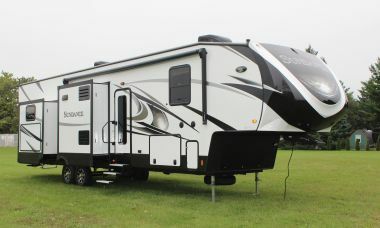 From single slide couples coaches to double slide family bunk houses. 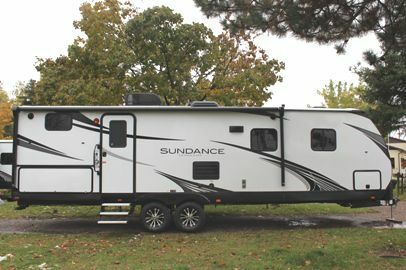 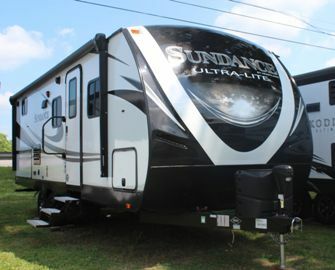 Sundance TT provides multiple possibilities to meet your exact camping and travel needs.